The Midnight Special is rolling through the night, but you’ll be hard pressed to get any sleep riding this haunted high iron! 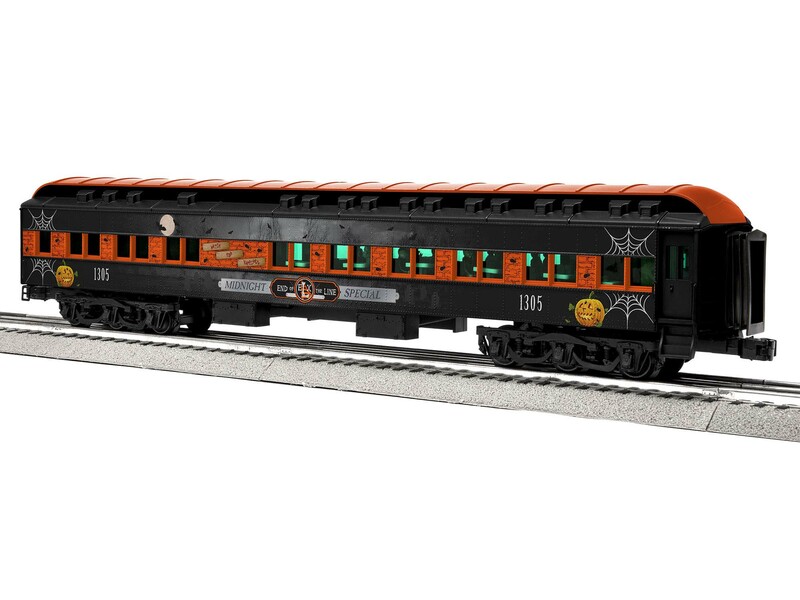 These frightful cars feature fantastic Halloween decoration to match our growing line of "End of the Line" locomotives and accessories. And with a new StationSounds Diner, the Midnight Special is sure to command attention on your Halloween display!